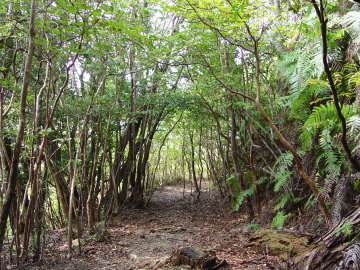 Through Nisaka-toge Pass Trail, there is many natural forest. 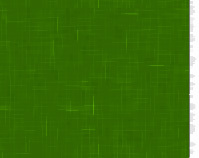 AT some point, it seems a tunnel of trees. 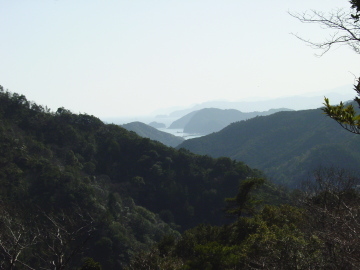 From "Okimi-daira", you could see Kumano-nada sea.This is a so good viewing point in this trail, that Suzuki Bokush (former travel writer) made the haiku here. 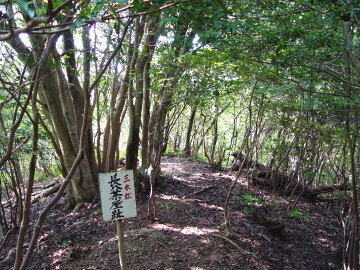 It is said that there was a teahouse named "Chohachi-chaya" at this point until 1930's.